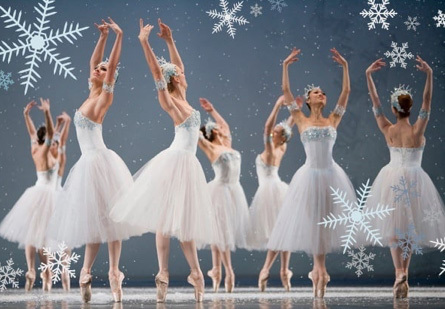 The Harvard, University of Chicago and Columbia alumni clubs celebrate a gala performance of San Francisco Ballet’s Nutcracker this holiday season. We reserved fabulous seats in the Premium Dress Circle at a special group discount with Family Night extras. A Sugar Plum Fairy world of holiday magic awaits inside the resplendent Opera House in a wonderland of supersized candy, teddy bears, toy soldiers and such things that are usually visible only to young people nodding off to sleep. Our Family Night includes a gift for the first 500 children arriving, lobby photo ops with Nutcracker characters 6-6:30 p.m. and juice and cookies at Intermission. Join us early, from 6 to 6:45 PM at our no-host Meet and Greet in 3rd floor Cafe Express area near our Premium Dress Circle seats. Café Express offers light dinner fare including, sandwiches, salads, desserts, champagne and soft drinks. We must be in our seats by 6:50. *Due to demand-pricing, the price for our seats may increase after September 15. After purchasing tickets, please e-mail event organizer, Elaine Black (HCSF), Ph.D. ’81, ebaq67@gmail.com so that we may send you any updates. Act fast to purchase your tickets through the custom weblink SF Ballet created for our alumni group. Sales close end of business day November 3. Click here to access our custom website. On the Opera House seating map, mouse/hover over the dark grey section and click on it when it turns purple. Our reserved seating area appears highlighted in black. Mouse over the seat(s) you like then select (click) the seats to “Add to Cart.” The Ballet will mail your tickets to you. Street parking is available but the easiest parking option is the Performing Arts Garage on Grove St. between Franklin and Gough ($15 all evening, 415.252.8238). Click here for driving, public transit and parking info.